Look no further for your next Sunday dinner, friends. This dish is easy to make, healthy, vegan, gluten free and very very tasty. It doesn’t get much better than that! We call this delicious pile of nutrients the Hippie Bowl. I have seen this dish in restaurants and one of my favorite bloggers decided to recreate it herself and share the recipe with the world. I thank her for that. 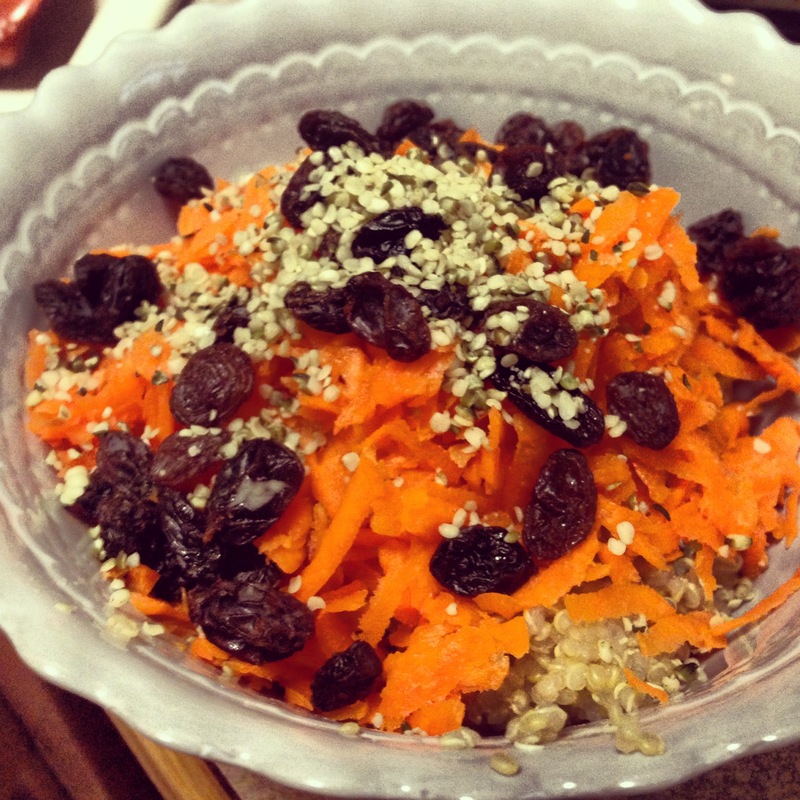 All you do to make this dish is cook up the quinoa, shred the carrots and assemble. So easy! This dish fits almost everyone’s dietary needs. The only allergen it contains is nuts. It is perfect for vegans and vegetarians but meat eaters will love it too! A good amount of protein comes from the Quinoa as well as the nuts & peanut dressing. Want to try it out? You can find the recipe here. I hope you like it as much as I do!